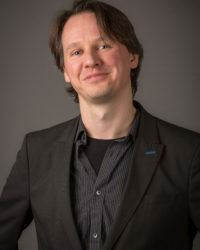 Dr. Jan-Willem van Prooijen is an Associate Professor at VU Amsterdam and a Senior Researcher at the Netherlands Institute for the Study of Crime and Law Enforcement (NSCR). His core discipline is social psychology, and he studies people’s subjective beliefs in conspiracy theories through quantitative research methods. His research focuses on the cognitive, group dynamic, and ideological causes as well as consequences of conspiracy theories. For instance, he investigated the relationship of belief in conspiracy theories with political extremism, uncertainty, perspective taking, inclusion, event size, leadership, and education. “Why Education Predicts Decreased Belief in Conspiracy Theories,” in Applied Cognitive Psychology. “Sometimes Inclusion Creeds Suspicion: Self-Uncertainty and Belongingness Predict Belief in Conspiracy Theories,” in European Journal of Social Psychology. (with R. E. De Vries) “Organizational Conspiracy Beliefs: Implications for Leadership Styles and Employee Outcomes,” in Journal of Business and Psychology. (with M. Acker) “The Influence of Control on Belief in Conspiracy Theories: Conceptual and Applied Extensions.” Applied Cognitive Psychology, vol. 29, 2015, pp. 753–61.